1. New Orleans – It’s going to take more than a last second loss at the hands of Tom Brady to move the Saints out of the top spot in the NFC. Fighting back from a 10-point halftime deficit on the road was impressive, and getting beat by Brady like that is something that happens to everybody, so New Orleans has nothing to be concerned about regarding their one and only loss of the season, as they remain the top team in the NFC. 2. 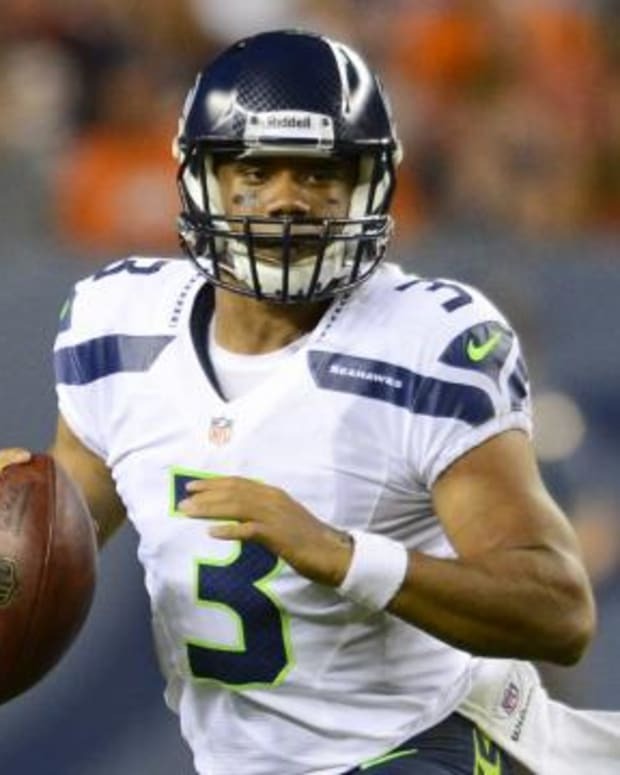 Seattle – The Seahawks probably should have won a little more easily against a team that started Ryan Fitzpatrick at quarterback, but the Titans are a tough team to beat regardless, and Seattle should feel good about getting the win. There’s nothing wrong with Marshawn Lynch touching the ball 25 times, but the fact that he led the team in receiving yards doesn’t speak well about Seattle’s wide receivers and their passing game. 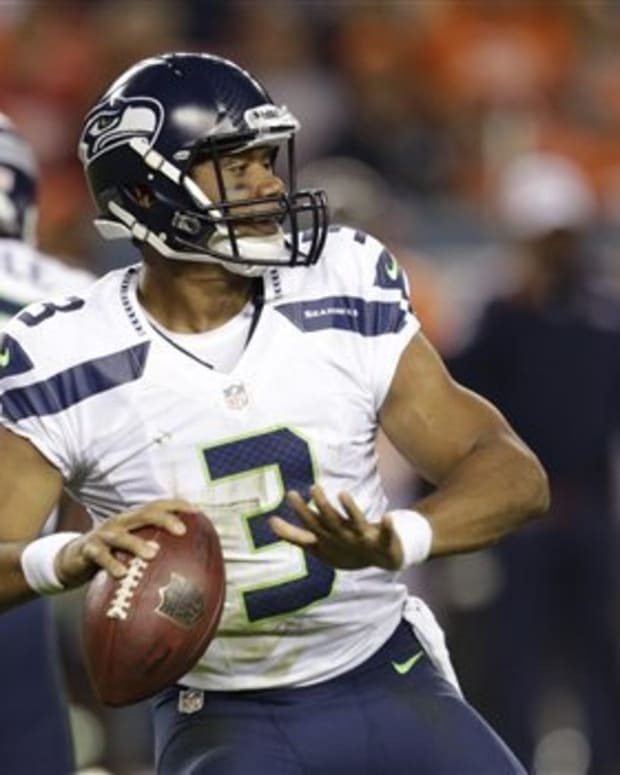 Seattle’s ability to score points consistently is a bit concerning, and enough to keep them below the Saints. 3. San Francisco – The 49ers get bumped up to number 3 after a much better outing from Colin Kaepernick against the Cardinals. 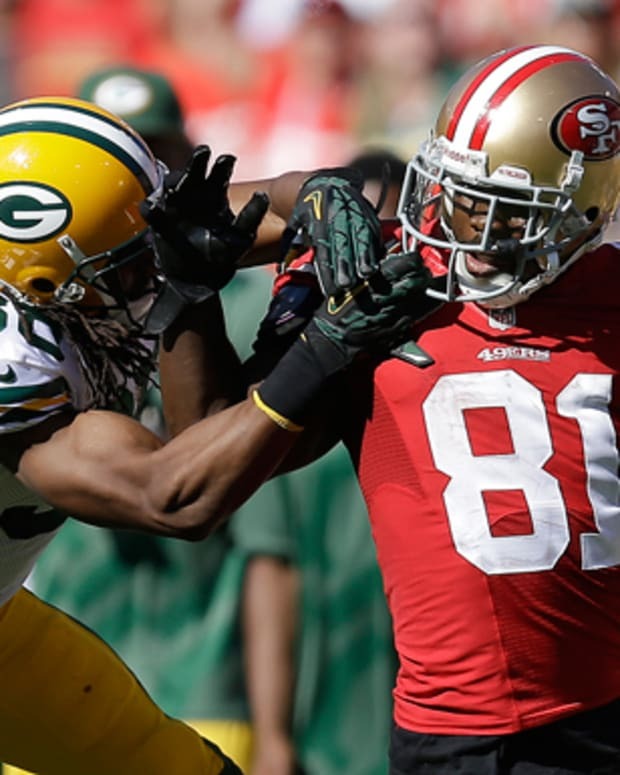 The San Francisco defense also continued to play well, forcing four turnovers. With three straight wins, this is starting to look like the team we thought we’d see in San Francisco this year, despite missing a few key players. If they can win in Tennessee this weekend, they’ll be on cruise control until their week 11 showdown with the Saints. 4. Green Bay – The Packers barely edge out the Bears for the fourth spot in this week’s power rankings. Beating Detroit and home and Baltimore on the road in back-to-back weeks is impressive, especially when rookie running back Eddie Lacy ran for 219 yards in those two games. With a little more balance to their offense, Aaron Rodgers can be deadly, while the Green Bay defense has started to put it together following their bye in week 4, which has the Packers looking far more dangerous than they were a few weeks ago. 5. Chicago – A six-point win against the Giants after two straight losses is enough to knock the Bears back a couple spots from last week. Offensively, they have enough to be explosive, but they’re still leaving points on the field, which is disappointing to see. Defensively, this isn’t the kind of unit we’ve come to expect in Chicago, and that needs to change or else the Bears will have to get used to winning shootouts. 6. Detroit – The Lions were in a bit of trouble this past week, but they managed to finish strong in the second half and avoid an upset against the Browns. For a team that’s played four of their first six games on the road, they’re in real good shape, but home games against Cincinnati and Dallas the next two weeks will challenge them and show how good they really are this year. 7. Dallas – The Cowboys look like the best team in the NFC East, but that doesn’t mean much these days. Despite the win over Washington, the Cowboy’s running game was largely absent and the Redskins doubled them in total yardage, both of which are bad signs. There’s no doubt they have talent, but the three teams they’ve managed to beat have combined for just four wins, so we still don’t know for sure if they’re capable of beating a quality team, and that keeps them from climbing any higher in the power rankings. 8. Arizona – The Cardinals lost to San Francisco, but they move up in the power rankings and are back in the mix because they played well, and even outgained the 49ers in total yards. Despite two interceptions, Carson Palmer and the passing game came to life a little bit, which is what the Cardinals need in order to stay competitive. Being down two points entering the 4th quarter in San Francisco was a good place to be, even if Arizona couldn’t finish the job in the final 15 minutes. 9. Philadelphia – The Eagles still haven’t beaten a quality team this year, but putting up 31 points against Tampa Bay’s defense is impressive enough to get them back into the top-10. Defensively, they’re still a mess, and if they had trouble against the Bucs’ offense, things could get ugly when they face Tony Romo and company this week, but they do have an offense that can keep them in games, and a home win against the Cowboys this week would put them into first place in the NFC East and give them a considerable boost in the power rankings. 10. Carolina – The Panthers edge out the idle Falcons for the final spot in our top-10 this week. If Cam Newton can throw the ball the way he did against Minnesota on a regular basis, Carolina could have something, because the defense is getting the job done more times than not. They have a manageable schedule the next three weeks, so the opportunity is there to crawl back into contention if Newton and company can play with more consistency.